Somehow Fall went by and I didn’t make one loaf of pumpkin bread. I know…it’s crazy! I bought a 3 can pack of pumpkin at Costco and decided it was about time I make loaf regardless that the calendar says December and all things pumpkin are on the way out. I found this copycat Starbucks version of pumpkin bread. but only it’s much more healthier than the real thing…. but tastes just as good, if not better! The amount of sugar was reduced and there was a few substitutions to make it healthier. Trust me, you won’t even notice the swaps – this bread is moist, packed full of pumpkin spice flavor and the perfect amount of sweetness. My son absolutely loves it, except for the pepitas which need to be cut off before he enjoys a slice of this bread. It’s apple season! I love all things apples and I’m excited to spend more time in the kitchen this coming month. My kids fall sports seasons are coming to an end, which means I won’t be coaching, cheering or driving my kids to practice or a game 5 nights a week. While I love seeing how much fun they’re having, it’s been a long couple of months of rainy, muddy weather … that hasn’t been the best for cheerleading or soccer. But back to this delicious and healthy bread. It’s loaded with cinnamon and chunks of fresh apples. It’s super easy to make, it’s healthy and makes your house smell delicious. I used whole wheat flour, because that’s what I had on hand; feel free to use any type of flour – all-purpose, whole-wheat white or a combination. For the past 7 weeks, it has rained on the weekend and that’s left me wanting to do some baking. Last week, was a busy week with the school year ending for the kids, the last 2 t-ball games, lots of work projects happening and of course, the usual hustle and bustle of our busy lives. We all needed to recovery on Sunday and it was the perfect day for that – another rainy day. I made a new recipe for dinner and was inspired to make focaccia bread after watching a Pioneer Woman episode on Food Network. I haven’t made homemade bread in months and it was so relaxing. Does anyone else find baking relaxing? This recipe was really easy to make since I had all the ingredients on hand. My husband and I dipped it in olive oil, but it would be perfect for grilled sandwiches. Babka has always been one of those recipes that I want to try, but it looked so difficult. I got over my “fear” of making homemade breads a couple of years ago, so I decided it was time to make babka for #choctoberfest! This Eastern European yeast-risen cake has lots of steps and takes all day to make – but it’s so worth it! There’s a rich chocolate filling that is swirled in brioche-like cake. This version has a little orange zest in the cake and topped with an orange syrup for a little bit of freshness and adds a touch of sweetness. Imperial Sugar helped make this recipe possible with their generous donation of sugar as a sponsor of #Choctoberfest. You should have seen my face when 88 lbs of sugar arrived at my house. I’ll be set for all my baking this holiday season with my kids! Thanks Imperial Sugar! Once again, I found myself with almost a full bunch of bananas that were on their way to being overripe. I should learn that when my kids ask for bananas, they only want 1 or 2 and not to buy a bunch, since they never eat them all. I decided to wipe up a loaf of banana bread last night to use up a few and then cut the rest into slices, frozen them and they’ll be used for smoothies. I also picked this recipe since it uses ricotta and I had some leftover from another recipe that needed to be used. The bread came out super moist and you would never know there was ricotta in the batter. It’s really good warm with a little smear of butter. With a slice of this bread and a cup of coffee, it’s a great way to start the day! I’ve been in the mood to make fresh bread and this recipe was something I haven’t made before. It was also the perfect opportunity to use the kale pesto I made last month. This recipe is a little labor intensive, but it’s worth it! The bread is so delicious – we all loved it. It would go great with fresh pasta and homemade meatballs. One of my favorite times of the month is here…reveal day for the Secret Recipe Club! 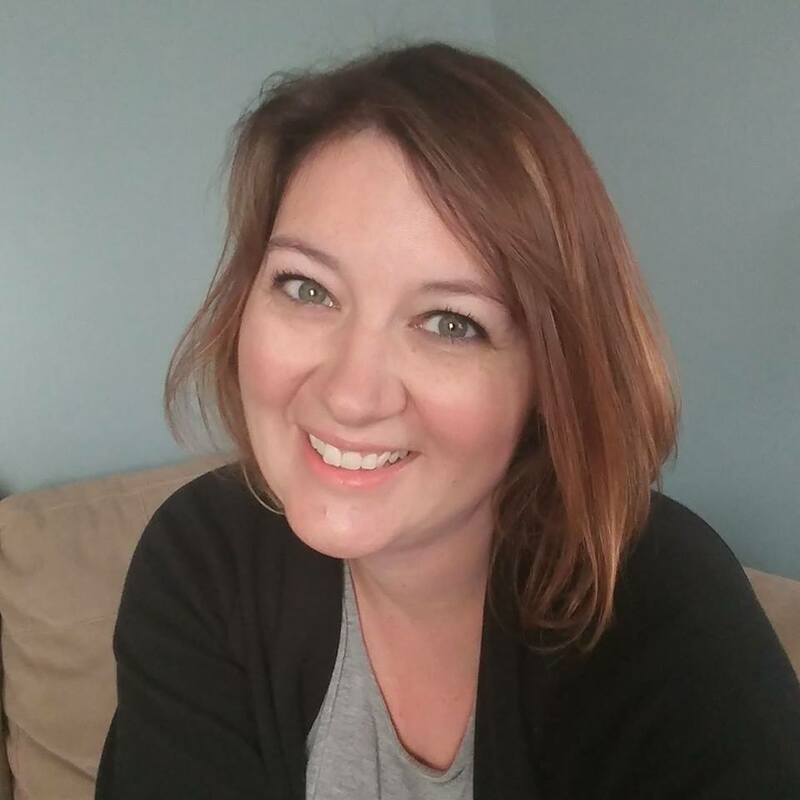 This month, my assignment was “It’s Yummy to my Tummy.” Heather’s two kids named her blog and I love it! Such a fun title! Heather and I have a lot in common. We both started our blogs to organize our thoughts and experiment. Plus, we both use cooking and baking to relax. 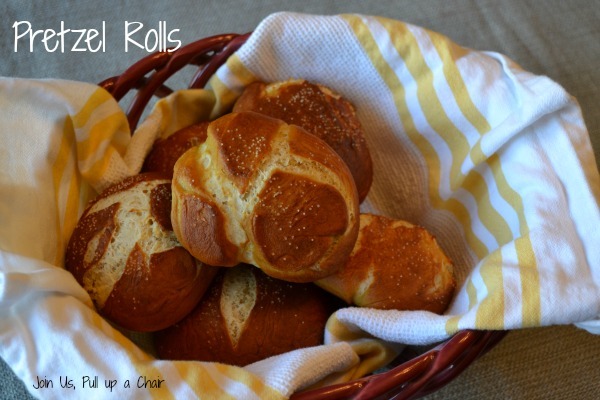 After looking through all the recipes on Heather’s list, I decided to go with pretzel rolls. They’ve been on my list to make for a while, so I figured it was time. I had also considered making her pancakes and sausage muffins, apple bellini and asian lettuce wraps. I’m thinking the Bellinis would be perfect to serve on Thanksgiving. The rolls were easy to make, since I’ve made pretzels before. The texture of the rolls were the right consistency and I loved the little bit of sweetness from the brown sugar. In the bowl of a stand mixer, combine 1/3 cup water with the yeast. Allow to stand and get foamy. Add in the remaining cup of water, milk, melted butter and brown sugar. Stir the mixture around until the sugar is dissolved. Slowly add in the flour and mix well until your dough forms. Since I was using my stand mixer, I let it knead for a minute or two so I didn’t have to knead it by hand. Remove and place on a lightly floured surface. Form the dough into a 2 foot long log and cut into 12 even pieces, approximately 2 inches wide. Cover the dough with plastic wrap and then place a damp towel on top. Allow to rise for 10 to 15 minutes. Take each piece of dough and form it into a roll or knot. Place back on the lightly floured surface about an inch apart and cover with a piece of lightly greased plastic wrap. Allow to rise for 30 minutes or until they have grown in size. Preheat oven to 425 degrees. Lightly spray two baking sheets with non-stick cooking spray and set aside. In a large stock pot, bring the water to a boil and add in the baking soda. The mixture will bubble and make a mess, but trust me, it’s worth it! Drop in two rolls at time and allow to boil for 30 seconds or less. Remove the rolls using a slotted spoon and allow to drain before placing onto the prepared baking sheet. Continue until all rolls have been boiled. Sprinkled with kosher salt. Bake for 10 to 15 minutes on the top rack until the rolls are the desired color. I baked mine so they were on the darker side for a crispy outside. Allow to cool on the baking sheets for 5 minute and then transfer to a wire rack to completely cool. Check out all the other great recipes in this week’s reveal using the link below! I’m always in the search for recipes where I can use leftover ingredients from other recipes. This bread was one of them. I had leftover ricotta from the breakfast casserole I made and needed to use it up before it went bad. I found this recipe and it was ideal since I had a random lemon in the fridge too. We picked blueberries earlier this summer, so they’re my go to fruit for bread or muffins. The bread came together quickly and it was delicious. 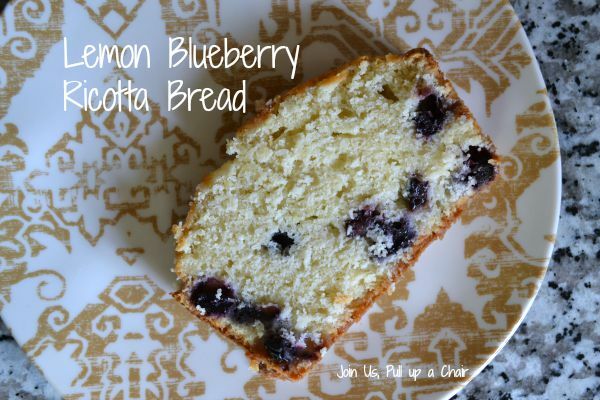 It’s not an over sweet bread, so it was perfect for breakfast with a cup of coffee or an after dinner snack. Preheat oven to 350 degrees. Butter and flour a loaf pan and set aside. In the bowl of a stand mixer, cream together the sugar and eggs. Add in the butter and mix until combined. Stir in the ricotta cheese, vanilla, buttermilk and lemon zest. In a separate bowl, combine the dry ingredients until well combined. Add the dry ingredients to the wet mixture and stir just until combined. Fold in the blueberries. Pour the batter into the prepared loaf pan. Bake for 1 hour until a toothpick inserted into the cake comes out clean. Remove from oven and allow to cool completely until ready to slice and serve.